It is the 4th of May 2015 and the Holy Grail of concrete poetry has arrived in my letterbox. The Holy Grail of course is Eclipse by Alan Riddell, published by Calder and Boyars Ltd of London way back in 1972. It's time - for concrete poetry! 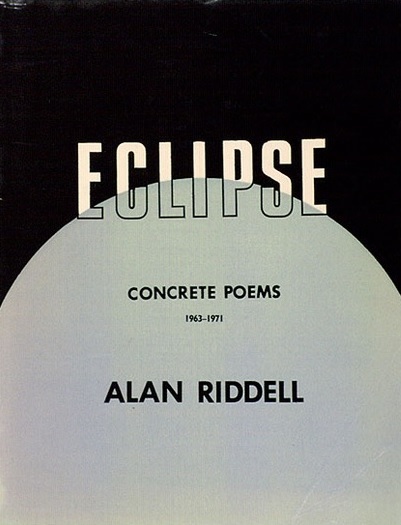 From what I can gather Alan Riddell's Eclipse was the first single author volume of concrete poetry published in English. Today you can still find an occasional one on the internet. This paperback with string binding cost me $30 Australian flown to my door (or letterbox). The book is divided into two sections or phases. 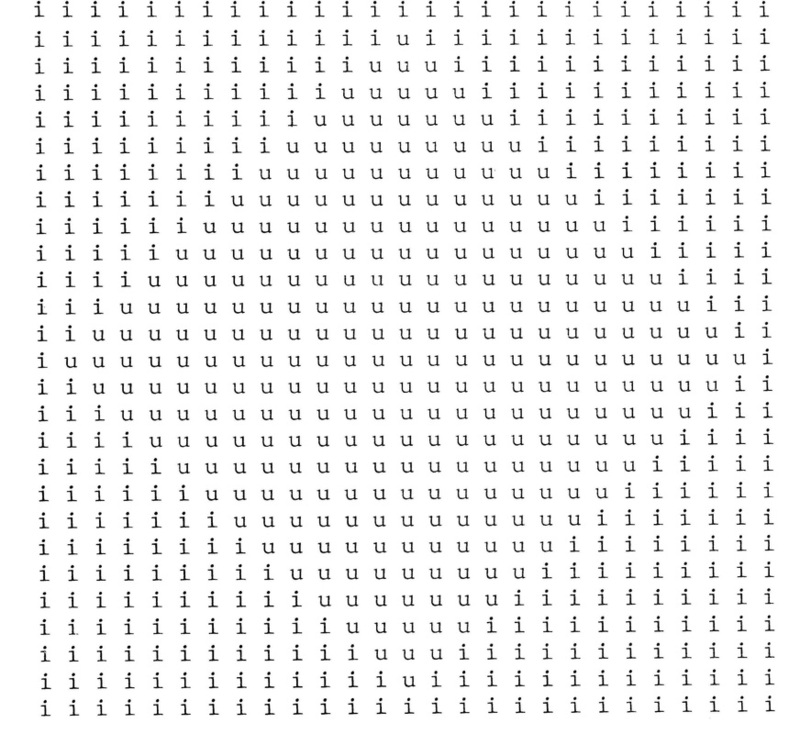 Phase One consists of poems made on a typewriter; Phase two involves typesetting that may have been Letraset or metal. The basic facts of Alan Riddell's life are easily found on the internet. He was born in Townsville of Scottish parents in 1927. He died too early, aged only 50, in 1977. 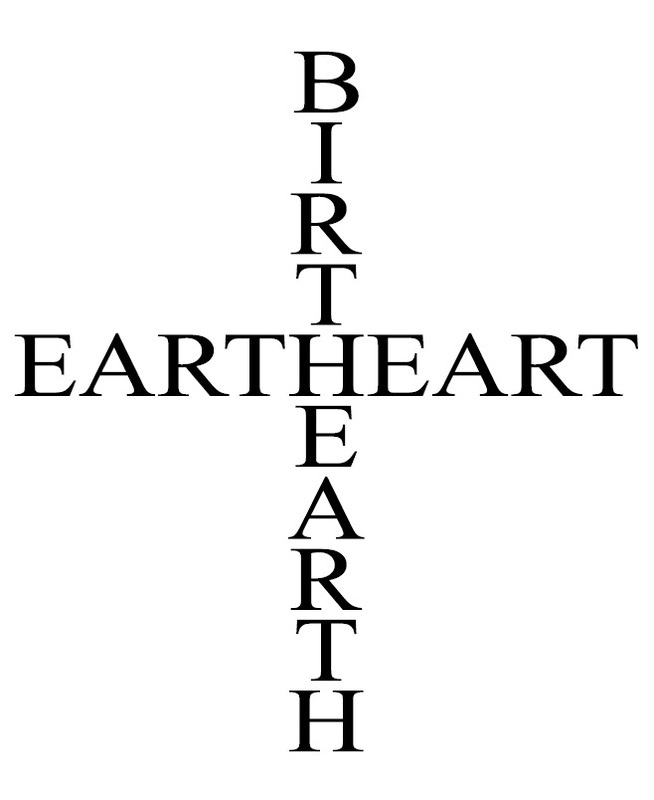 He was a pioneer and champion of concrete poetry. He held many single exhibitions of his works produced in silk screen colour prints in various locations - Sydney, Edinburgh, London, Japan. He also took part in group shows. He worked as a journalist in the UK and Australia. The New Colossus was used by the Sydney Morning Herald in its coverage of the Apollo 11 moon landing. He had five books published. Three were of conventional poetry - Beneath the Summer, Majorcan Interlude and The Stopped Landscape. 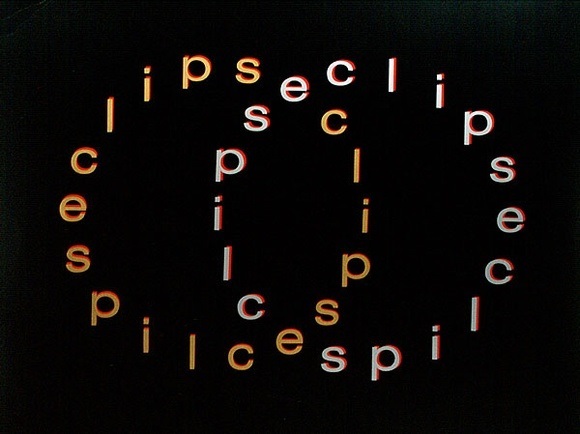 As well as Eclipse he also edited an anthology of typewriter art called appropriately Typewriter Art. I suspect all of them would be found by patient searching on the internet. below: Icon on the left and The New Colossus from the typeset, phase 2, section. Below are two versions of The Affair - the typewriter version and the coloured print. Below I've reproduced Spectrum Shift as the original typewritten version but I couldn't resist colouring it in - with almost trembling reverence! Great, trembling reverence . . . .